My school has recently changed how it organises performance management observations and I love it. Previously, we had two hour-long observations throughout the year. We were told well in advance when they would be and there was often some negotiation about the time of them if they fell on something we'd rather not be observed in. 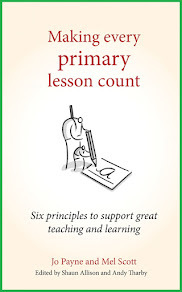 Originally, these lessons were graded but, as OfSTED stopped doing that, so did our SLT. It all sounds reasonable and fair...doesn't it? It wasn't reasonable for teachers to spend longer planning that one lesson than all the others combined in the week. It wasn't fair for (some) teachers - me included - to get worked up, stressed and sometimes ill with the pressure of that hour. It wasn't fair for the SLT to see those teachers who can keep their cool perform beautifully and tick all the well-known observation boxes while others were struggling to hold it together. But, most of all, the snapshot of learning which the SLT were observing was far from a reasonable picture of what happens in every lesson. In fact, it was a complete farce. This year, it was announced that observations would take place every half term. They would be completely unannounced and would be undertaken by any member of the SLT. We were given a four or five week window in which we could be dropped in on and we soon realised that this was going to be in a random, unpredictable order. Six observations a year with no warning or extra preparation time. It all sounds very stressful and unfair...doesn't it? It isn't stressful as there's nothing to get stressed about. There is no time we are aiming for. There is no over-planning to do; neither are there extra resources to make. We just continue to do what we do everyday - we teach and the kids learn. And, providing that is good enough, there shouldn't be any problems. As word spread around the school during the first round of observations, there was a slight air of anticipation. For me, that was nothing in comparison to the nerves, worry and sleepless nights I've had prior to some prearranged observations before. 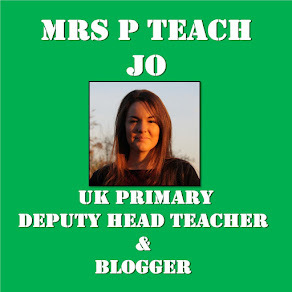 It's far from being unfair because our SLT are seeing teachers in their normal lessons. No one is doing anything fancy to show off, no one is at an advantage or a disadvantage depending on how they cope and the feedback we receive is much more useful in our everyday teaching. Understandably, not everyone is as positive about the new arrangements. If you've always done well in observations, suddenly being watched unannounced must be a bit daunting. However, as a teacher who has always struggled with the 'show off' nature of prearranged observations and the pressure to 'perform', this new system suits me perfectly. Also, as a middle leader, I feel drop-in observations mean the SLT have a much clearer picture of what is happening in classrooms everyday and can really tailor where we are heading as a school from a truer starting point. I previously wrote about grading observations - read that post here. Same system has been embedded at our school; scary at first but sooooo much better! I've always said the best teachers are the ones who teach well whether there is someone in the room watching or not. It's all about the children & their learning, not about one sparkling lesson a term. So glad you shared this! What about teachers that feel anxious not knowing when they will be observed? This system might be better for you but not for everyone. I agree with your school's method of observation. As described by O'Leary (2013), a prearranged 'showcase lesson' is not a fair or accurate representation of everyday classroom practice. Another method of professional development is to keep a learning journal to track PPD activities and reflect on the impact of the teacher’s thinking and practice (Hansen, 2015).